Don't send him/her any money or CC card details. 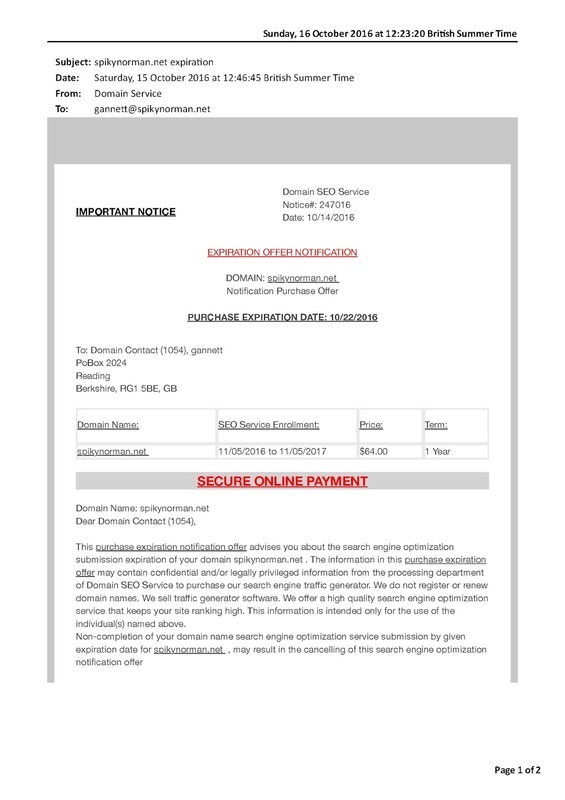 As the owner of few domains on the internet I get my share of frauds and scam emails. 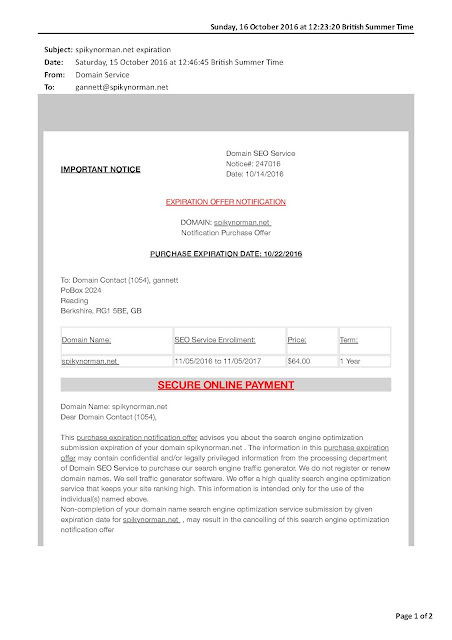 The fake SEO service invoice that looks and sounds proper is a common culprit. Intended to arrive on the desk of an admin person, who may be does not look to closely or is fooled by the language, and just clicks to pay. This is fraud as regardless of if the service exists, and it probably doesn't, because the service was not ordered. Sending invoice in bulk hoping that a few pay up is a common scam made easier by email and web technology. We do not register or renew domain names. We sell traffic generator software. and yet uses the domain registration information to spam. The fact that the scammers have used domain information to scrape admin email addresses in breach of the terms of service of the registrars is just a minor point.